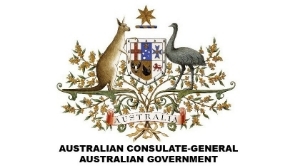 The Laboratory collaborated with the Australian Consulate and Tree People to bring the Australian explorer Andrew Harper and artist Jo Bertini to an audience in Los Angeles. Andrew Harper has been exploring the Australian desert since 1995 but his dream of walking along the tropic of Capricorn finally came true in 1999. A 229 day, 4,637 kilometre walk. 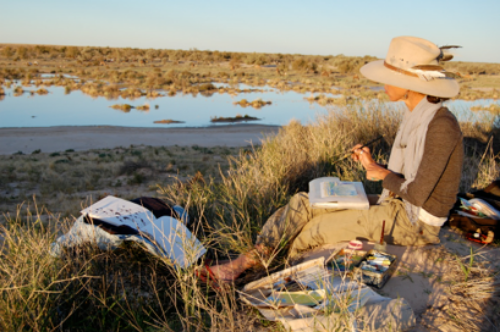 One of Australia's leading artists, Jo Bertini has been working on a ten year project with Australian Desert Expeditions in the most remote and inaccessible regions of Australia's deserts. Her preoccupation is how the land, or landscapes affect people. It is often said that the Australian Desert is the canary in the coal mine for the rest of the world regarding drought and climate change. Harper and Bertini have travelled extensively together on foot with camels and a team of scientists into the heart of Australia to bring back information. The lecture held at Tree people was an utterly fascinating opportunity to hear first hand accounts of the secrets that the desert & her people hold. A night of two perspectives - scientific and artistic. This event was part of the FEAR issue. When faced with challenges, such as climate change, understanding what is happening diminishes the power of fear and provides fuel to move forward and make positive changes in the world.